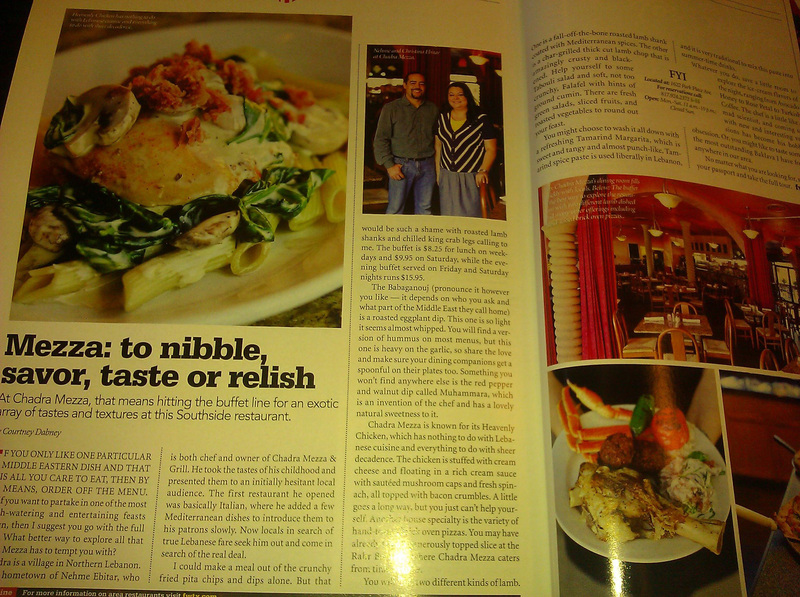 Check out the April issue of Fort Worth Texas Magazine! At Chadra Mezza, that means hitting the buffet line for an exotic array of tastes and textures at this Southside restaurant. If you only like one particular Middle eastern dish and that is all you care to eat, then by all Means, order off the Menu. But, if you want to partake in one of the most mouth-watering and entertaining feasts in town, then i suggest you go with the full buffet. What better way to explore all that chadra Mezza has to tempt you with?